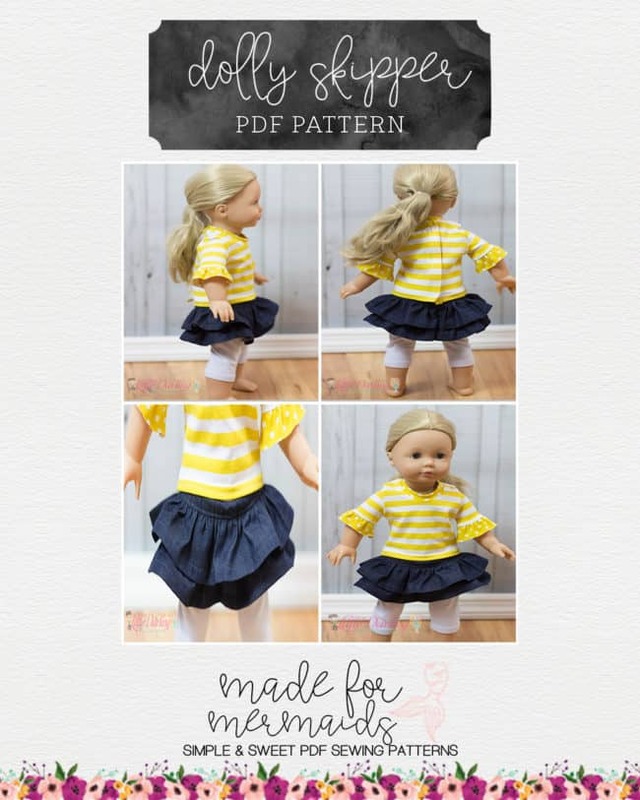 This is a PDF pattern for instant download for this adorable skirt. 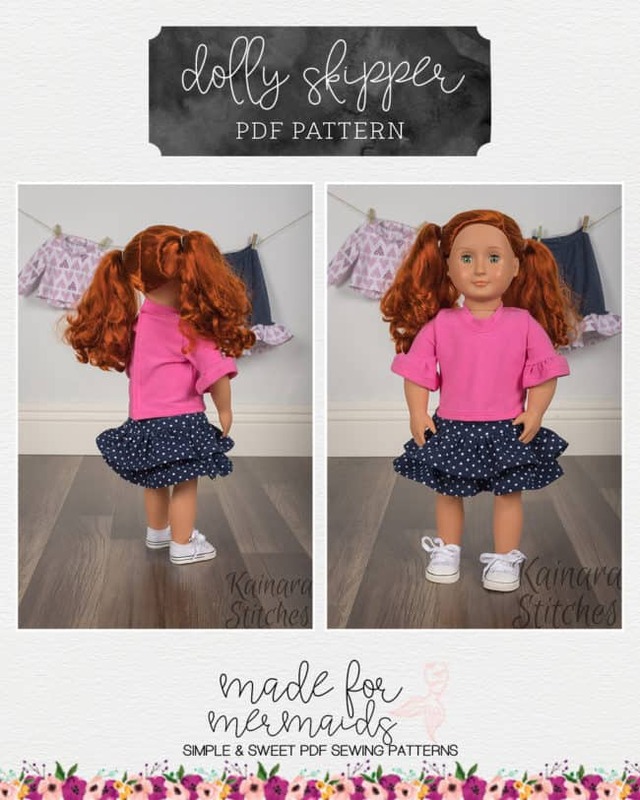 THIS IS NOT A FINISHED GARMENT, it is for the pattern that shows you and teach you step by step how to sew it! 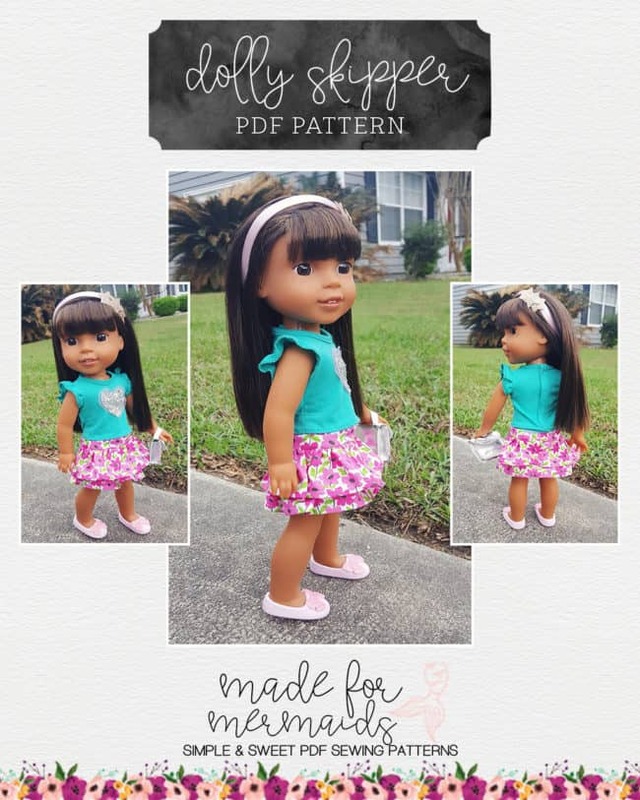 Dolly Skipper pattern comes in 14″, 15″ and 18″. The Dolly Skipper skirt is a versatile tiered skirt pattern. 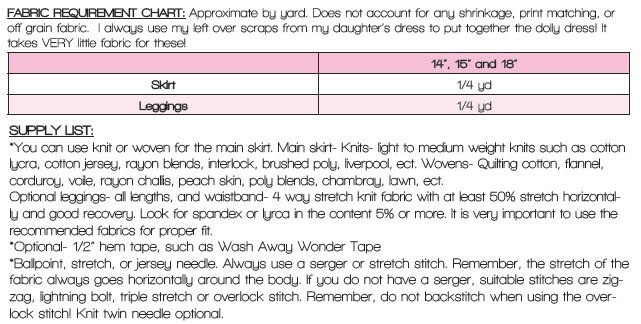 You can use knit or woven fabrics for your skirt or a combo of the two. 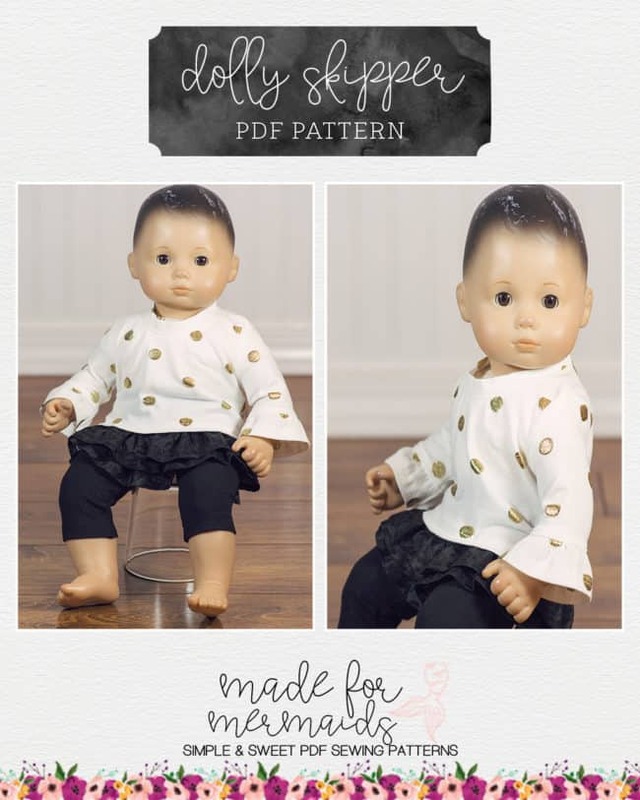 You can choose to have built in knit legging in several lengths- shorties, capri or ankle length legging options all included. 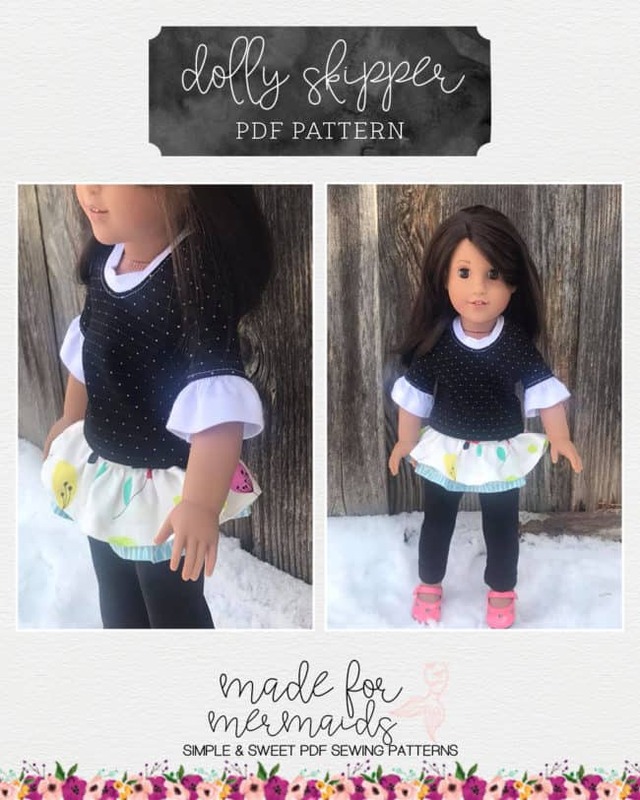 You can also leave the legging off for a stand alone skirt. 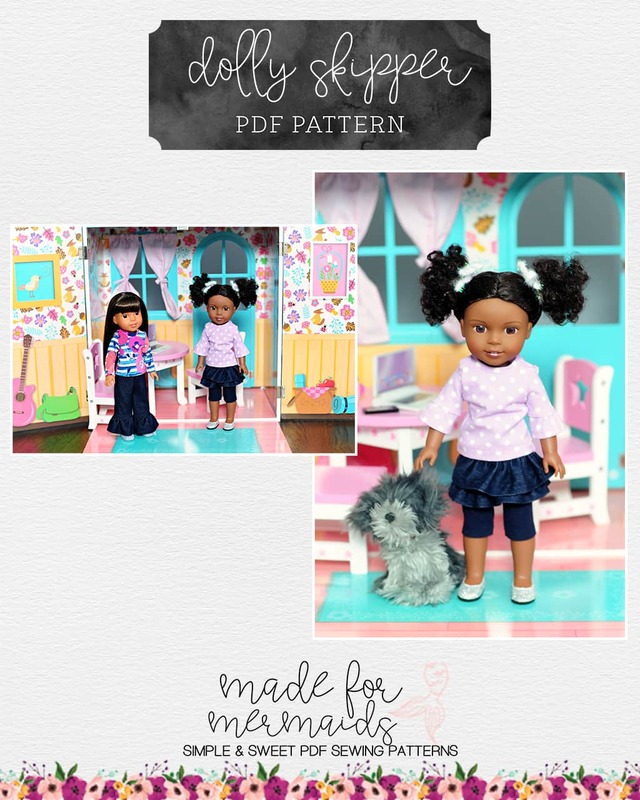 Use the tiers to mix and match coordinating fabrics and a great way to use up scraps. 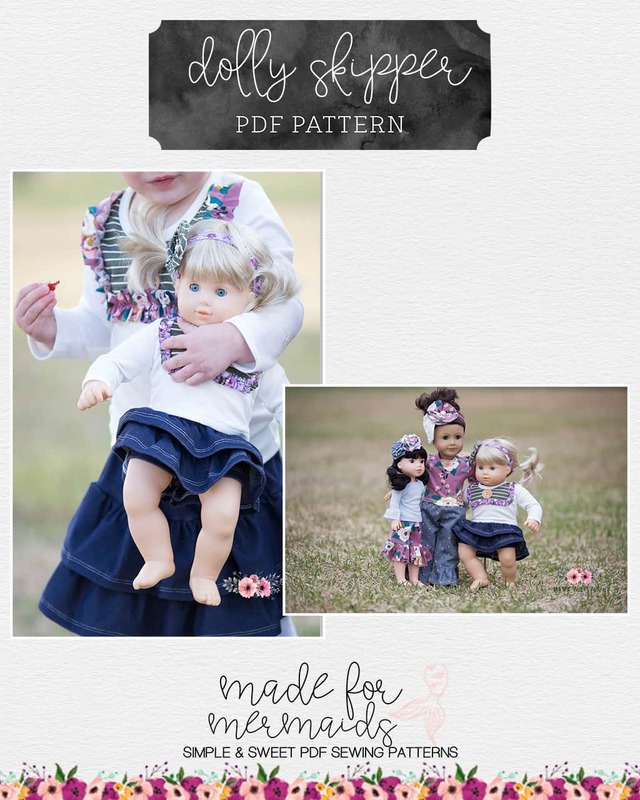 Dolly outfits take very little fabric and make the perfect gift or add-on for your boutique! 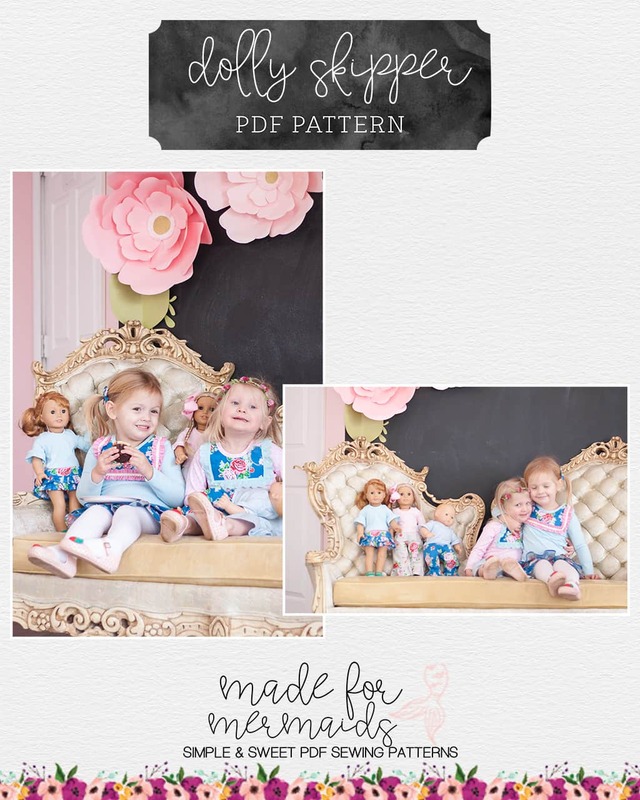 Detailed, precise instructions with full color photos to teach and guide you along the way are perfect for beginners. Color coded, computer digitized, layered pattern pieces and measurement chart given to cut in tutorial. 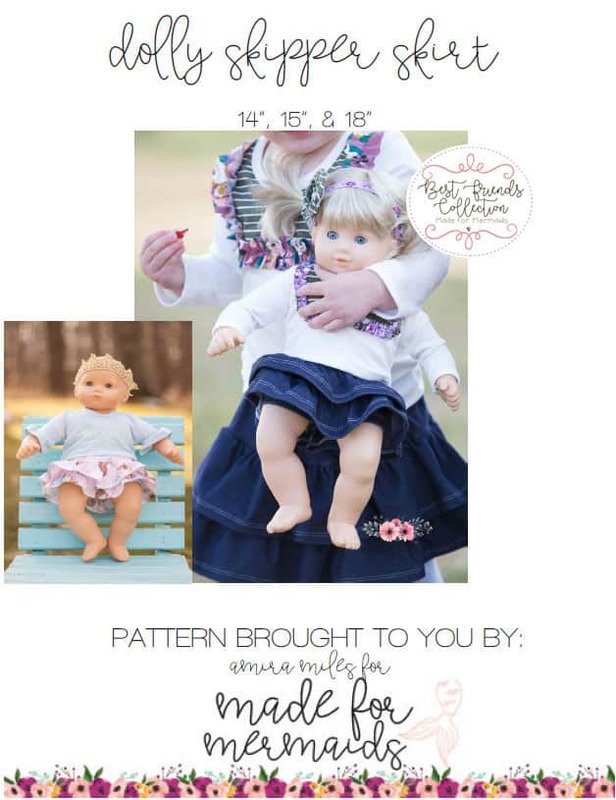 Yardage requirements, tips, tricks and more are included! You will need Adobe Reader on your computer to open the PDF files. Matches perfectly with the girls Skipper Pattern. 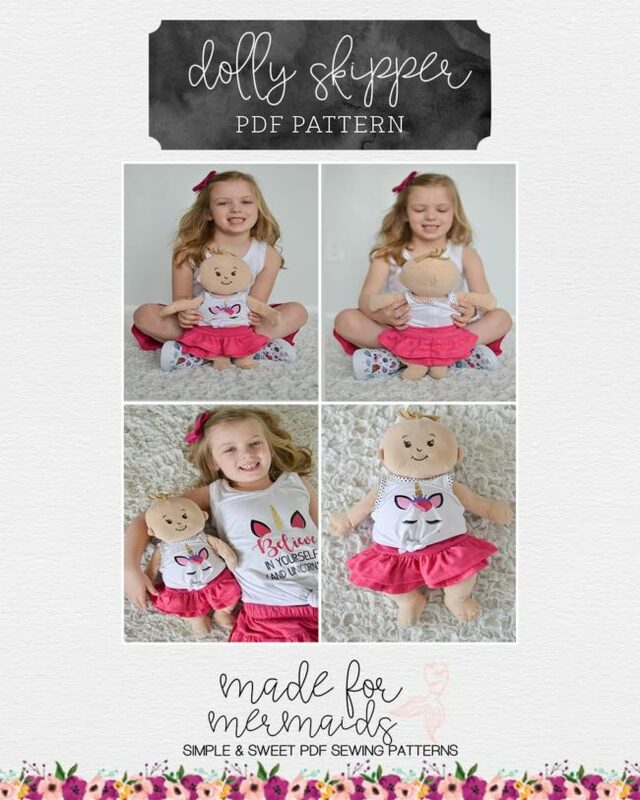 Coordinates with all the patterns in the Best Friends Collection perfectly.